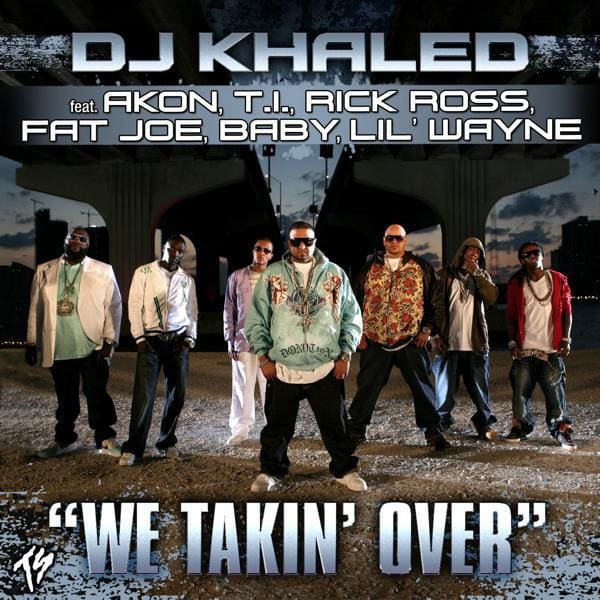 The "We" in Khaled's "We Taking Over" referred directly to the DJ's network of We the Best affiliates but it could also be read as a celebration of Miami's emergence as a hip-hop capital. Virtually everyone involved in the triumphant 2007 street anthem—Fat Joe, Lil Wayne, Baby, Danja, Khaled himself—were transplants who'd come to the city from somewhere else. Bearing a polyglot of influences (Wayne's syrup-y martian talk, Danja's Top 40 club-friendly, Virginia Beach synth hop) from all over the map, "We Taking Over" embodied a new Miami hip-hop aesthetic emerging at the time: as sunny as ever but driven less by the urgencies of its ghettoes than by the excesses of already rich-and-famous rappers.